Prof.Vinayak Krishna Gokak, the former President of Sahitya Akademi and a pre-eminent Kannada writer once said "The Sahitya Akademi which is the National Academy of Letters is not merely concerned with a few distinguished writers. Less known writers, scattered over the length and breadth of the nation, are equally important to it." 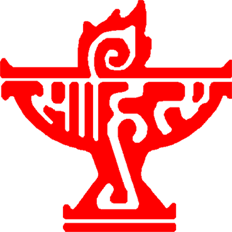 So, one of the first major projects which the Sahitya Akademi took up soon after its inception in 1954, was the compilation of a comprehensive 'Who's Who of Indian Writers'. The first edition was brought out in the year 1961. Thereafter, it ventured to publish two successive editions in 1983 and 1990. All entries have been made under a writer's surname. Again where one has no surname, his given name has been used. Where a writer is better known by his pen-name or other assumed name, it is provided with a cross-entry which refers to the main entry which is under his real name. In case of variations of spellings with regard to surnames, a writer has been listed under the actual spelling he uses for his name. If some information is found wanting, it should not be construed as an editorial oversight. On the other-hand, many writers have failed to provide information in a legible manner. So we have discarded such entries, as said, they were unreadable. So omissions are not deliberate and we offer our apologies to such writers, as they do not figure in the present edition. Nevertheless, this is an on-going project. At any point of time the aspiring writers can send us their details either through online or offline forms available on our website, neatly typed in English, so they could be incorporated instantly. We offer our deep gratitude to the authorities of the Akademi, for having trusted and entrusted us with this monumental project. Our sincere thanks to all the library professionals in the Akademi chiefly, Dr. Ashok Choudhury and Miss Yasmeen Jamil without whose help it would not have been possible for us to timely deliver this on-line directory. Thanks to Shri Avdhesh Kumar, Data Entry Operator for typing the manuscript with great care and diligence. We hope it will be an indispensable reference tool, useful for writers, scholars, critics, literary enthusiasts and general browsers.